When typing a message to a freelancer on Upwork you now have to use the shift/return function to create a new paragraph. This is rather annoying because typically we're use to using the return key as we would in a Word document........clicking it once to return and twice to create a new paragraph. My suggestion is to switch the current "return" function - which when clicked once sends your message with the "shift/return" function. Why? Because I'm so used to clicking return to create a new paragraph that I keep accidentally sending half written messages. If you just had to click return to create a new paragraph I could avoid this and just get the new paragraph. It should be continue process while typing message to the next line. In the recent message system, attention scatters. You should be able to select not to send message with the key by clicking on a cogwheel in the bottom left corner. Here is the screenshot. Valeria says "You should be able to select not to send message with the key by clicking on a cogwheel in the bottom left corner. Here is the screenshot. " With respect Valeria, you are able to do that.....but you should be able to use a paragraph return for its normal function without having to go to settings to change it. That would help a lot more. @Stephen, I cannot do other thing than poorly reply to your (and others) reaction, resistance to change. Why if you are not endangered? The new chat has an option to behave pretty similar to the old MC, yet you complain you don't want to need to click on it. That's how my mother didn't learn to use FB until her yourger relatives were well onto it, is it going to happen to all of forum users that complain about the new MC? we'll see. Cesar, but this isn't FB or a free service but a professional work platform that, if we are sending messages back and forth, most likely are paying for. And while I do agree that making a small little setting change is no big deal, that setting change is hardly made before sending messages, but after seeing that enter sends the message out, in other words, when it's too late. This little nuisance could've been avoided if just a little more thought had been put into it... Why can't it be disabled by default with the option to turn it on? I think there's a misconception on what a chat is: a communication tool. People associating it with a particular platform does not make that tool less useful for other purposes. Is just a matter of using it for work and it will adjust just fine. 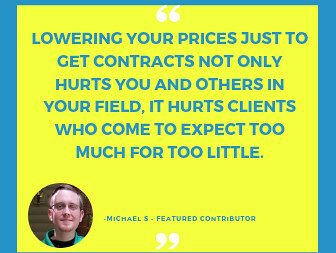 If you don't need constant communication with your clients or other freelancers this might seem overkill, but the tool is great to coordinate with other people and discuss, just like Skype would do, with the benefit of having everything on the platform in case CS needs to take a look for some reason. > Why can't it be disabled by default with the option to turn it on? Because is a chat system, and historically chat sends the line on Enter. If it didn't work that way, it could not be intuitive that this is indeed a chat system, and those who would benefit from it might not be taking advantage from it. If it helps to tackle the problems with Yahoo Messenger scams, and some other communication problems (people unwilling to communicate outside the platform for interviews, unsure if using Skype for the interview is against the TOS), then this is a-ok for me. In fact, is not only ok, I think is great. I'm glad Krisztina got in before me as she saved me a lot of typing. I'm happy that you think it's great. Please just accept that others don't think so. And it's not because you're more advanced than them...it's just that they don't need the tools that you need (or are maybe reliant on). Messaging. Chat. Two different things. I want messaging. I wonder who was more worried about your mother using Facebook? You or her? (Really no personal slight intended here, but you did bring up the subject). I've never used Facebook and never will until I have to, or see a gross benefit from using it. Some see me as a dinosaur because of that. I know myself as a free spirit who knows what I can live with and without, without being pressured by others. The new messaging system is driving me nuts too, although I'm gradually learning to deal with it. 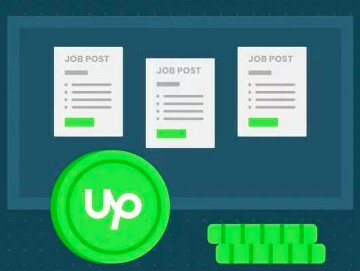 I do believe that it's shift toward being more of a chat system than an email-like messaging system is entirely intentional on Upwork's part, and is part of a broader strategic plan. We may not like or agree with it, but we should understand this is not accidental or incidental. And it is unlikely to be undone by a chorus of demands, not matter how well-reasoned or earnest. re: "If it helps to tackle the problems with Yahoo Messenger scams..."
Gotta give credit for this very creative bit of silver lining you pointed out here. 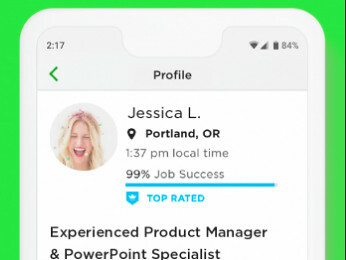 If Upwork now can do exactly what Yahoo Messenger can do, then you know for certain, even more than before, that any "client" asking a contractor to create a Yahoo Messenger account and communicate via that tool is certainly a scammer and a scoundrel.